I’ll admit, I’m a smoothie fanatic. I love to start my day with a filling Paleo Protein smoothie (with a scoop of collagen and Organic Greens, of course) for sustained energy to get me through my busy morning. 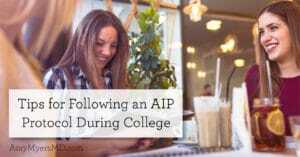 It’s quick and convenient and requires little to no planning whatsoever! Whether you’re just beginning to explore the wonderful world of smoothies or are looking for more reasons to step up your smoothie game, let’s take a dive into this delicious trend and all the incredible benefits of starting every day with a smoothie. Making a smoothie for breakfast is a no-brainer. Every morning lately I’ve been drinking a smoothie made with a scoop of my new favorite Paleo Protein flavor, Mocha Latte, blended with some non-dairy milk and a couple of ice cubes to make it nice and frothy. How much easier can it get than that? There’s no need to deliberate over what you’re going to make, and then trying to quickly prepare and eat a nutritious breakfast before you run out the door. And that goes double when you don’t have time for a sit-down meal. Just whip up a smoothie and bring it with you on-the-go! Since I travel a lot, smoothies can be especially handy when coming back from a long trip before I’ve had the chance to shop for groceries. By keeping my freezer stocked with frozen greens and berries, and having a supply of essential pantry items such as Paleo Protein, collagen, and Organic Greens, I never have to worry about being without a nutrient-dense breakfast from not having fresh food in the fridge. 2. It’s packed with vitamin and minerals. Shockingly, only 12% of U.S. adults eat the recommended 1 ½-2 cups of fruit per day, while just 9% meet the federal requirement for 2-3 cups of daily vegetables, according to the CDC, and those are minimum requirements!1 What if you could get most or all of your fruits and veggies for the entire day in your first meal? You can easily do so with a smoothie, especially when you add an organic greens powder to boost the veggie content of your morning drink. My NEW Organic Greens Superfood Juice Powder contains 14 powerful plant foods to get you well on your way to meeting (and exceeding!) your daily vegetable needs. Not only will you be way ahead of the game nutritionally, starting your day with a smoothie will ensure that you’re starting the day on track. In fact, many people report finding it easier to make healthy choices throughout the day if they have a smoothie for breakfast. Plus, even if you have to make compromises later in the day, you’ll have a solid foundation to make sure you’re still getting your essential vitamins and minerals for the day. 3. 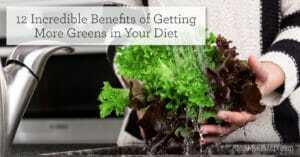 Its nutrients are bioavailable and easy to absorb. Nutrients in smoothies are significantly more bioavailable for your body to use because they are already partially broken down, making them easier to absorb than whole foods. 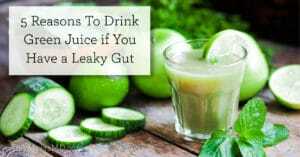 This is especially important for those dealing with leaky gut or gut infections such as SIBO, who have a difficult time digesting food and absorbing nutrients. 4. It keeps your blood sugar stable. A nutritionally balanced smoothie will provide you with filling protein and healthy fats to keep you satiated throughout the morning and prevent blood sugar spikes. I always choose berries when adding fruit to my smoothie because they are so low in sugar. I also include full-fat coconut milk for satiety, and of course Paleo Protein to help me stay full until my next meal. For a creamy consistency, instead of banana try frozen avocado! Avocados are an excellent low-carb smoothie add-in, full of monounsaturated fats for reducing inflammation as well as fiber to help further stabilize blood glucose levels. 5. 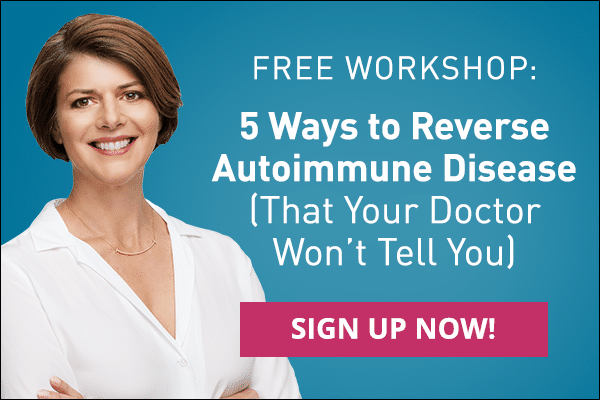 It’s an autoimmune-friendly energy boost. 6. 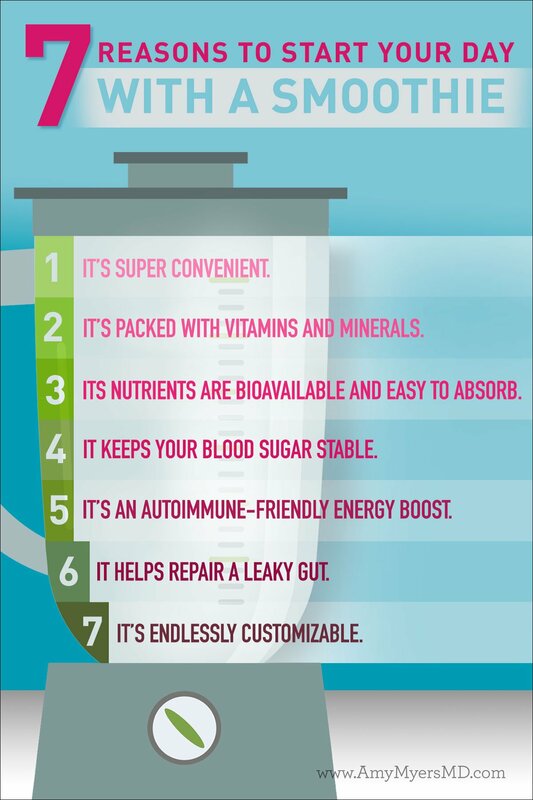 It helps repair a leaky gut. Smoothies that contain either collagen or a clean-sourced protein powder free of inflammatory ingredients are ideal for repairing a leaky gut. That’s because your intestinal wall is made up of microscopic folds, or “villi”, which are built from collagen. The amino acids in collagen quite literally “seal the leaks” or perforations in your digestive tract by repairing damaged cells and building new tissue. Collagen supplementation can also help a number of other gastrointestinal disorders, such as Irritable Bowel Syndrome (IBS), by assisting with water absorption in the intestines. Adding The Myers Way® Paleo Protein powder ensures that you’re getting the essential amino acids you need in a form that your body can readily utilize. 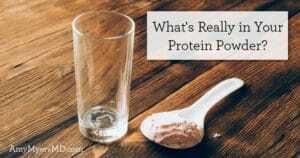 Plus, it’s free of inflammatory ingredients that many protein powders on the market contain that can actually damage your gut such as added sugars and protein sourced from whey, hemp, pea, or soy. It even passed the test for heavy metals with flying colors! One of the greatest smoothie perks is that it is endlessly customizable based on your own personal tastes or what you happen to have on hand at the time! All you need is a base (water or non-dairy milk), a source of protein (Paleo Protein or collagen), healthy fats (coconut oil or avocado), some greens, and optional fruit for a bit of sweetness. With these guidelines, you can easily throw together a smoothie with infinite possibilities for flavor combinations, being as basic or elaborate as you want! 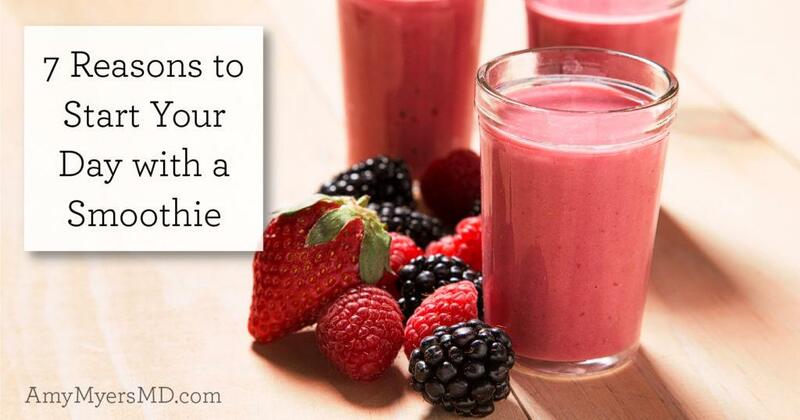 For inspiration, try my Chocolate-Covered Strawberry Smoothie or Key Lime Pie Smoothie, and be sure to check out The Autoimmune Solution Cookbook for an entire chapter dedicated to delicious, energizing, and immune-boosting smoothies!